Beer #1139 is a pale ale brewed by Matilda Bay in Dandenong, Victoria, Australia. This isn’t a bad pale ale, it’s quite sweet with a fair amount of maltiness and some bitterness. The bottle size is 345ML with an alcohol content of 4.70% (containing approximately 1.30 AU / 1.60 UK standard drinks), and it cost me $4.26. We wanted to create an easy drinking craft beer in the traditional North American pale ale style that has proved so popular with discerning beer drinkers – so we did, and then named it after a hairy Mongolian cow thing. 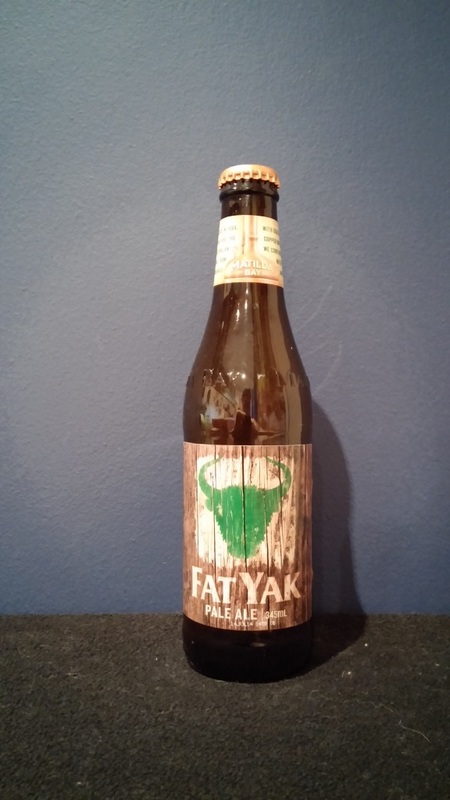 Fat Yak first impresses with its golden colour, distinctive, hop driven, fruity and herbaceous aromas, giving characteristic passionfruit and melon notes, followed by a hit of hop flavour at the finish. The taste is refreshingly clean on the palate. Fat Yak is created from natural ingredients, including premium malts, American Cascade hops and a hint of New Zealand Nelson Sauvin hops. Fat Yak pairs well with almost any food, but we reckon you should try it with spicy wedges, chorizo and tomato pizza or an antipasto platter with friends. We do not recommend it with yak, as yak tastes terrible. Even marbled Kobi yak (not a real thing).